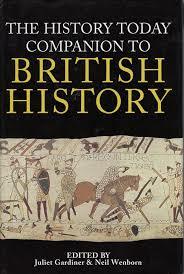 British History research papers discuss the history of Great Britain. British history can be traced back as far as the first humans to settle in the British Isles, evidenced by the ancient and mysterious formation known as Stonehenge. In 40 CE, the Romans invaded and conquered much of Britain, ruling until about the year 400 and witnessing the founding of the city of London. 1066, the Normans invaded, tying British history to that of the continent, especially France. British history in the early modern period is marked by foreign and domestic warfare, including revolution and civil war. With the reign of James I, England and Scotland were ruled by one monarch, which eventually led to the 1707 Treaty of Union, which created the Kingdom of Great Britain. The 18th and 19th centuries saw Britain build one of the largest global empires in history, due in large part to the supremacy of the British navy. During the reign of Queen Victoria, it was said that the sun never set on the British Empire. While Britain’s empire declined in the 20th century, the United Kingdom remains both a major world power and a cultural global force, from Shakespeare to the Beatles. Great Britain is also a major voice in the European Union. What are the realities of the United Kingdom’s role in the world? How have these attitudes that critics deride shaped Britain’s policies toward the rest of the world? And, perhaps most importantly, what power does the United Kingdom yield on the world stage? The altruistic level argues that Britain (and other Western nations) promote certain “grand principles”—peace, democracy, human rights, and Third World economic development—as natural corollaries to the basic priorities, both political and economic, that have guided foreign policy over the last half century. This point of view maintains that the Western states have achieved a level of freedom for their own citizens that is unsurpassed in history. Therefore, it is the duty of a nation’s foreign policy to attempt to bring the grand principles to the rest of the world. Doing so will promote Western levels of peace and prosperity. Underlying this is a sense of arrogance. The United States and Great Britain have been close partners in the postwar world, whose foreign policy aims have been, if not parallel, then sympathetic. What the above argument assumes is that “the American (and/or British) way of life is best. An anthropologist might label such an attitude ethnocentric. In the world of global politics, where might creates influence, this attitude could be labeled arrogant presumption. Perhaps the constant difficulties that Western nations have in relation to other areas of the world (the Middle East or China, for example) can be traced to the conflict between the attempted imposition of these “grand principles” and local resentment of Western arrogance. British History Research Papers discuss components and questions that should be addressed in a book report. Colonies research papers discuss America in the Seventeenth and Eighteenth Centuries under British Mercantilism. Medieval Revolution and King John Research Paper - a research paper outline sample on the Medieval Revolution and King John. British Mercantilism Research Papers - Our writer can custom write a British Mercantilism research paper. English Civil War Research Papers - World history research papers cover a period in British history known as the English Civil War. The English Civil War was a series of battles and maneuvers. English Gardens Research Papers go into the history of the landscaping styles in British Gardening. Revolutionary War Research Topics - successful due to the convergence of geographic factors and the military policies of Great Britain. Catherine of Aragon Research Papers looks at a sample of an order placed on choosing one of the six topics to write on and gives detail about topics. Paper Masters writes custom research papers on British History and discuss the history of Great Britain.